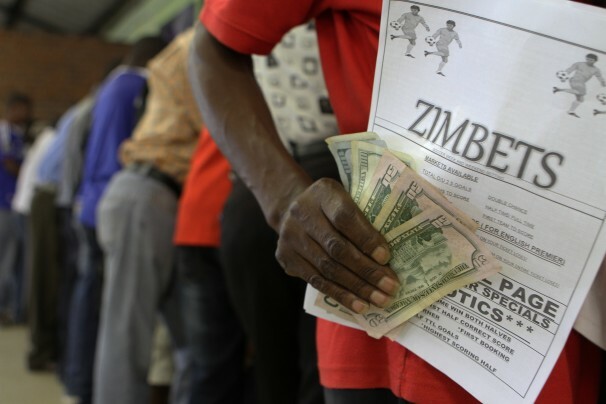 Despite the economic hardships and the ever-growing unemployment rate, gambling in Zimbabwe has been gaining more and more popularity in recent years, which many see as a potential source of income. Since gambling in Zimbabwe has been made legal with the enactment of the Lotteries and Gaming Act mandated by the Lotteries and Gambling Board, there is nothing wrong about focusing on gambling as a source of income, as long as it doesnâ€™t grow into irresponsible gambling hobby. Despite the Act, online gambling is not specifically regulated. Therefore, online gambling in Zimbabwe is sort of a grey area just like in many other countries across the world, mainly third-world countries. The Act mentions â€œelectronic gaming devicesâ€, but none of the specifically applies to online gambling. So, Zimbabweans can freely gamble online, those that can afford to. Their favourite are usually foreign sites, generally South African online casinos like Fhats Casino and Yebo Casino. In South Africa on the other hand online gambling is limited mainly to online bookmakers, but there hasnâ€™t been a case of online casinos being taken down. Therefore, online gambling in South Africa is much more spread, especially mobile gambling. Mobile gambling is great because no matter where you are and as long as you have an internet connection, you can always play your favourite casino game for real money or wager on sports. The entertainment industry in South Africa has exploded in the last five years, with video games having the highest growth including online casino gaming. The widespread penetration of internet connectivity and new technology such as cutting-edge smartphones and tablets, as well as PCs and laptops has given the ability to the South African population to connect more easily to online gambling sites. In Zimbabwe on the other hand this kind of penetration is at a bit of a standstill due to the suffering economy and poverty, which is why land-based betting shops are much more popular among the population. Nevertheless, recent stats have shown an increase of 92.8% in active mobile penetration at the beginning of 2016, 108% in 2015 and 104% in 2014. South African gambling market is the biggest on the African continent, where the online gambling sites contribute with billions of Rands to the overall gambling revenue. This trend is a reflection of the global trend where online gambling and especially mobile online gambling is growing by an uncontrollable rate. More and more South Africans turn to online gambling instead of leaving their homes to go to their local casinos or betting shops. The same cannot be said for Zimbabweans, but they tend to follow the same trend nevertheless, as much as their resources allow them to. As with any aspect of society, the economy has an essential role in online gambling too in respect of how much the population can keep up with the worldwide trends, which is why gambling in Zimbabwe will be a game for the unemployed masses as an attempt to earn some money.